Most every woman of child bearing age in the United States has heard of Yaz. For many years, Yaz was touted as a super drug, good for not only birth control, but also for the treatment of PMS and problem skin conditions. However, Yaz’s reputation took an irreparable turn for the worst when women started coming forward in large numbers to complain of dangerous side effects, and it looks as though Yaz’s troubles are nowhere close to being over. Yaz law suits. Over the course of about two years following the onslaught of patient complaints surrounding Yaz, the drug racked up well over 10,000 lawsuits and Bayer was forced to set aside close to 2 billion dollars for predicted settlements. After settling nearly 5,000 lawsuits, Bayer seemed to be entering the home stretch. However, a new Yaz lawsuit in California has put Bayer in the spotlight (and in the courtroom) for yet another round. The new lawsuit is not only against Bayer, but also against manufacturers of birth control drugs similar to Yaz, Berlex Laboratories and McKesson Corporation. The problem with Yaz. So, why is Yaz getting such a bad rap? Apparently, for very good reason. The active ingredient in Yaz, a synthetic form of progestin called drosperinone, is now proven to increase the risk of a condition called deep vein thrombosis (DVT) by at least 50 percent. 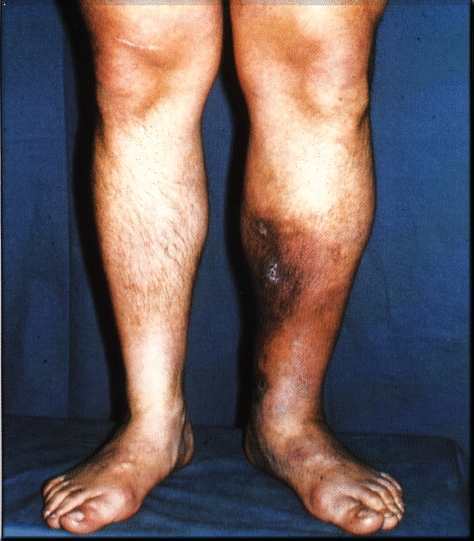 DVT is an extremely dangerous condition that is characterized by blood clots that are usually in the legs. Not only can these blood clots lead to troubling symptoms (swelling, skin discoloration, pain, etc. ), but they can also lead to much more serious, sometimes deadly, health problems when they break off and enter the blood stream. These dangerous health conditions include stroke, pulmonary embolism, and heart attack–all which can lead to sudden death. Why is Bayer responsible? People who take any type of chemical birth control are generally aware that oral contraceptives (as well as any other type of prescription medication) expose them to a certain amount of health risks, in the form of side effects, and that some side effects are more serious than others. Pharmaceutical companies are responsible for adequately testing their drugs and reporting their findings to the FDA, and as well for informing the public of side the effect risks indicated by their drug testing. Bayer failed on both of these counts. Moreover, it is alleged that Bayer purposefully misrepresented drug testing findings to the FDA in order to gain approval, and extended that misrepresentation to the public by way of misleading marketing. It appears as though Bayer still has a long way to go when it comes to making reparations for the damage Yaz has caused to women and families all over the nation. Few would argue that it should be any other way. You can read more here and find information for those you know who may be impacted.